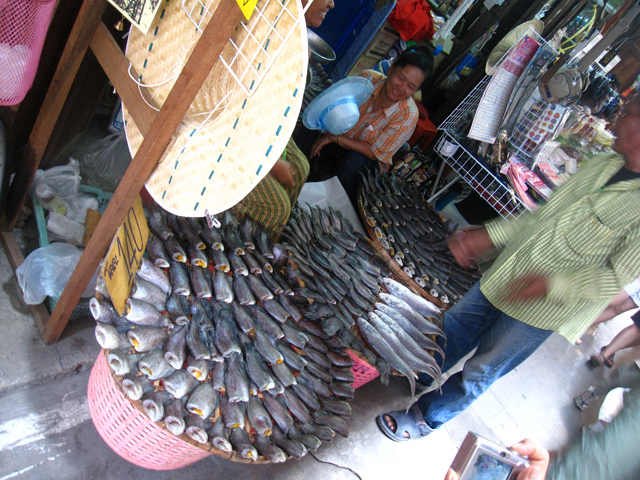 Thailand is famous for its markets. Fresh markets, flower markets, night markets, wholesale markets, floating markets… the list goes on and on. 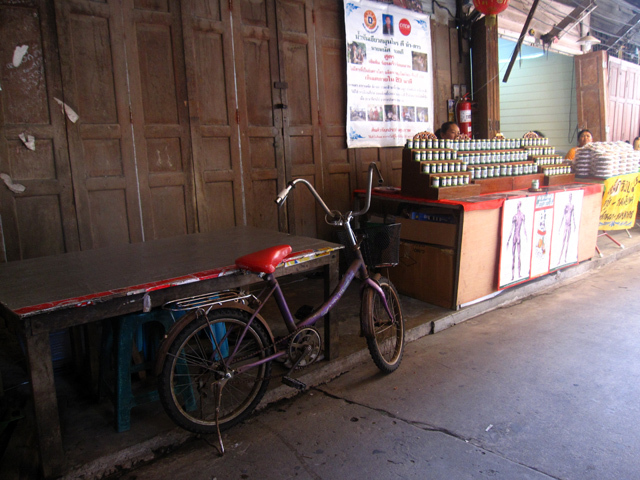 Some of the marketplaces in Thailand are used on a daily basis for business while other markets are only open on the weekends for recreational leisure. A couple hours drive from central Bangkok is a tranquil market located in the middle of nowhere that happens to attract a flood of Thai tourists each weekend. 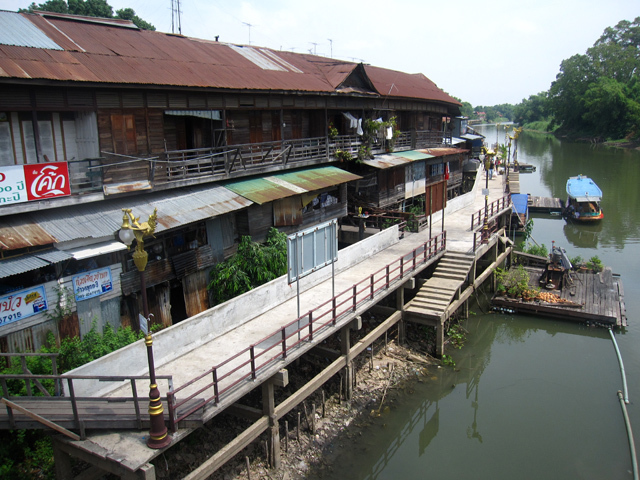 Known also as the “100 year old market,” Sam Chuk is an old Thai village that has been well preserved. The wooden homes next to the Tha Jeen river make for a picturesque setting. While some stores sell antiques, at Sam Chuk the entire market is an antique. Each weekend Sam Chuk turns into a place for Bangkok residents to escape the bustle of the city for a leisure day of walking, eating, and taking photos. If you live at the market, you have two choices, a) open your doors and sell something or serve something or, b) leave your doors shut and miss out on the surge of traffic each weekend. Fortunately, nearly everyone who owns a home at Sam Chuk chooses the former option. There were all sorts of things to buy and browse at Sam Chuk. This particular lady had maneuvered her way in between stores to display her dried salted fish and attempt to grab a piece of the action. 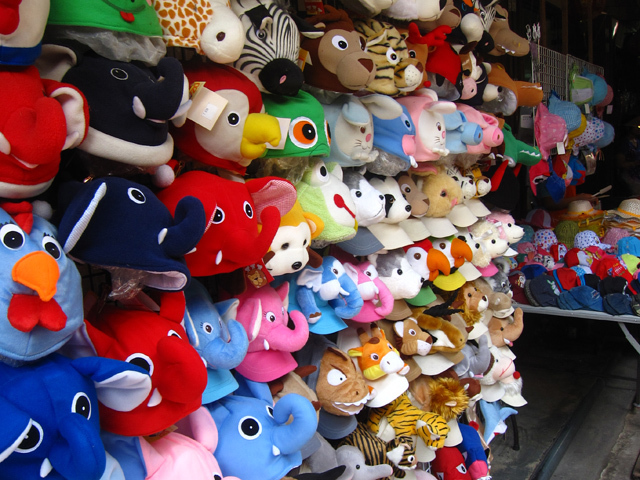 While many of the stores at the market sold traditional foods and speciality items, others choose to sell things like stuffed animal hats. Though as I mentioned before, there are lots of different types of markets in Thailand, there's one thing you can always count on: food. 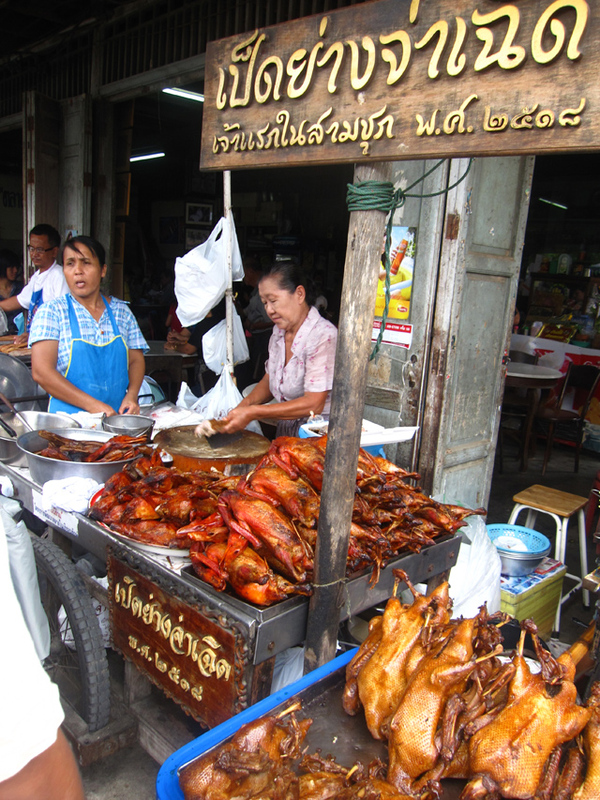 At the entrance of Sam Chuk were a few street carts piled high with tempting roasted and soy sauce boiled duck. As soon as a customer would purchase a bird, the vendor would slice and dice it up and have it piled into a styrofoam container in a matter of seconds. Have you ever seen a pork ball the size of a softball? Pork balls are basically pig trimmings and pieces of fat that are all ground up, formed into a ball, steamed, and served with a spicy dipping sauce. 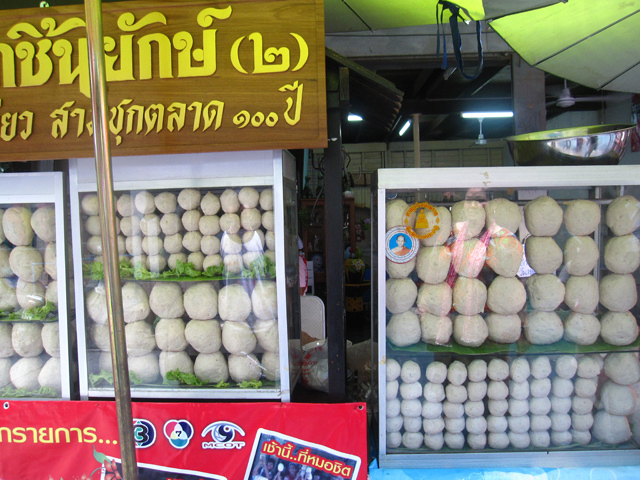 Most of the time pork balls in Thailand are no larger than a standard pingpong ball, but at Sam Chuk they've taken things to the next level. I'm not joking, these pork balls were literally the size of a softball. I saw a kid biting into one and it was easily half the size of his face. For lunch we stopped at a relaxing restaurant to eat a Thai dish known as miang pla too. The dish included a selection of fresh vegetables, a fried fish, soft rice noodles and a to-die-for spicy peanut sauce. It was wonderful. Khao Mak is made from normal rice that is slightly fermented to give it a nice zippy alcoholic tinge but not anything overpowering like a shot of rice wine. It's kind of like an alcoholic rice pudding, but instead of being smooth, it's textured with grains of rice. Let me tell you, khao mak is not only delicious, it's addictive too. 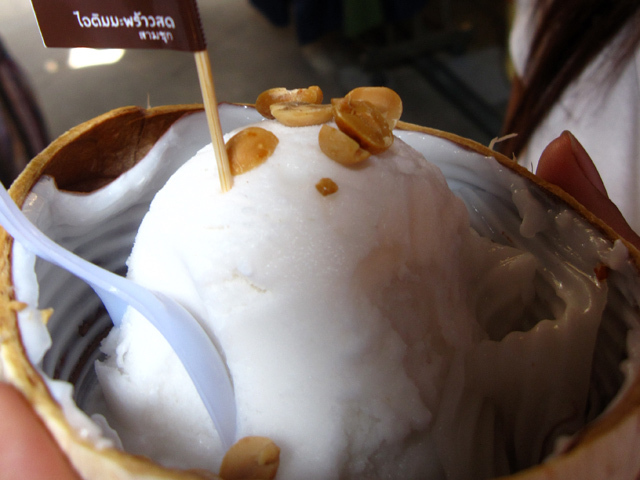 A visit to Sam Chuk market wouldn't be complete without a bowl of homemade Thai style coconut ice cream. It was creamy, not overly sweet, and purely coconut. Served in a half coconut shell and sprinkled with roasted peanuts, the ice cream was extremely enjoyable. Rich history, a friendly environment, and delicious food is a winning combination. 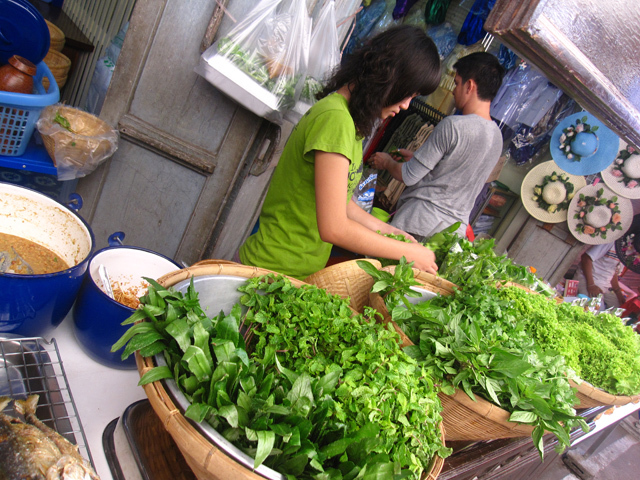 Sam Chuk market is yet another great place to spend a leisurely day in Thailand taking life at a slow soothing pace. a very interesting place to visit! lovely images you shared here! Thank you Ruby, it is a very interesting market! very interesting market, i have never been there before. Yes, food is a one of the great reasons Thai markets are so wonderful! I always see the beautiful sights of Thailand in tv and film, I like Koh Samui best. The street snacks looks so delicious. 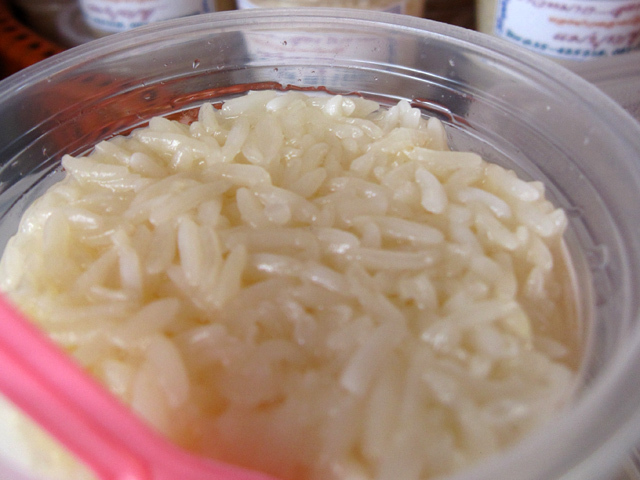 Is the fermented rice contain alcohol or does it just have a similar taste? How can I find Sam Chuk market, I want to make a photo, can anyone tell me how I can come with me Tom Tom navigation, there are coordinates confesses! It is therefore in the city Suphan Buri, there are signs! but can anyon tell me how to reach this market from bangkok city ?? any other near by places to see ? ?